I don’t think people mean that we literally point to a picture of Jesus as the answer. The answer is that we are to respond the way Jesus would respond rather than merely give worldly advice. This is because the answers Jesus provide satisfy our soul and spirit. Worldly advice satisfies only for moment, and then leaves us wanting more (see John 4). When someone is grieving, we weep with them, just as Jesus wept in John 11:35. When someone is hungry, we feed them physically and spiritually, just as Jesus did in Matthew 14:13-21. The difficulty is knowing how to respond as Jesus would in every situation. In John 5:19-20, Jesus says, “the Son can do nothing of Himself, unless it is something He sees the Father doing; for whatever the Father does, these things the Son also does in like manner. For the Father loves the Son, and shows Him all things that He Himself is doing; and the Father will show Him greater works than these, so that you will marvel.” So Jesus only did what he saw God doing. Is it possible for us to do only what we see our Father doing as well? 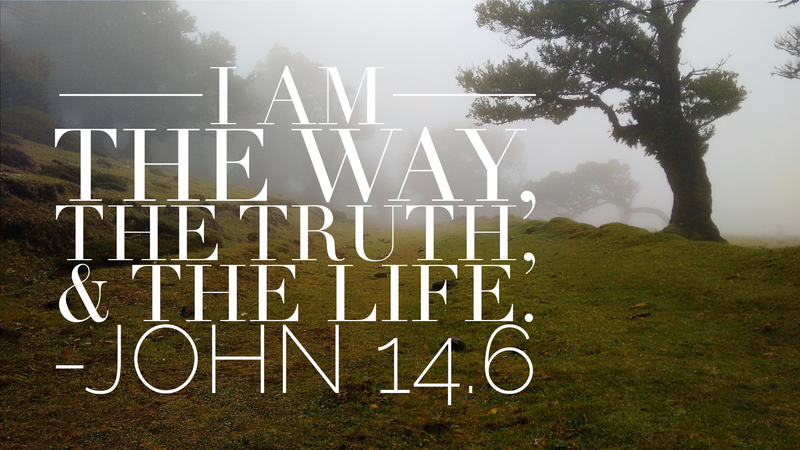 In John 14:6 Jesus says, “I am the way, and the truth, and the life; no one comes to the Father but through Me.” We usually think this verse refers to salvation, what if this is the way in which we can emulate Jesus by coming to our Father to see what He is doing? Let’s take a closer look at this verse. The word “way” in the Greek is hodos. It means literally a way, road or journey. Figuratively, it means a lifestyle or the way one lives his or her life. The word “truth” in the Greek is aletheia. It means truth. That’s not very helpful. Since John is the author of this book, is it possible to decipher what John thinks the truth to mean? John speaks more about truth than any other Gospel writer. He calls the Holy Spirit the Spirit of truth. He calls the words of God truth. We walk, worship and live in truth. If you distill the essence of truth to its core, I think that to John truth equals love. There are three different Greek words for “life” used in the New Testament. The first is bios, which is our physical life. The second is psyche which is the life God breathed into us, also known as the soul. The third is zoe. This is the highest life that God intended for each of us from the beginning of creation. Zoe is the word for life used in John 14:6. Therefore, if we walk in the lifestyle of love, we will attain the highest life God intended for us from the beginning of creation. What is the highest life? To love God with all our heart, soul, mind and strength and to love our neighbor as ourselves. This leads to another question. What is love? Love is more than a feeling. According to 1 Corinthians 13, love has at least 16 attributes. Love does not act ugly. Love does rejoice in unrighteousness. I daily walk in the lifestyle of love, patience, kindness, humbleness, selflessness, long-suffering, truth, believing the best in people and never giving up. In doing so, I live the highest life God intended for me as a reflection of Jesus who in turn is a reflection of God. I come through Jesus to God. So when someone is hurting I don’t need to come up with answers myself. Because of my relationship with my Father, I see how He views this person and their hurt, and I can respond in the same way. Sometimes this may mean I sit silently with someone and share their grief. Maybe it means, I open my Bible and show them how David responded. It might mean we pray together for advice from our Father. Maybe I need to push them out of their comfort zone or maybe I need to encourage them to see a professional counselor to deal with deep, roots of pain and anger. Whatever our response is, it should come from a lifestyle (hodos) of truth (alethia) and love, which leads everyone involved to life (zoe). This is what it means to point people to Jesus. It’s simple, but not easy. How can you apply living a lifestyle of love, kindness, patience, humbleness, selflessness, long-suffering, truth, believing the best in people and never giving up? Does the answer to that last question involves more time in the Father’s word? Can you name three people that you can show love to by truth? After learning hodos, alethia, and zoe, what does zoe mean to you? Next > Lonely Sits the City. Hmm… thought-provoking. I see what you are saying, but I’ve always viewed “point people to Jesus” from another perspective. It hurt to hear her say that, but years later, I saw the wisdom in it. Yes. We must be like Christ to those we lead, but that is only so that they want to follow Him. Ultimately, my job as a leader is to make myself dispensable, to train up those I lead so that even if God uproots me and sends me somewhere else (which He did and will continue to do), I have pointed them to the source. I have trained them to feed from the Word and listen to His voice. I can move on and know that they have a relationship with Him apart from me. To me, that’s what it means to point someone to Jesus. Well, my thoughts on the matter.